(Ver 1.4) Today is Part 11 of a very important series of lessons on Understanding Seeds in the Bible. We have covered a lot of very significant information that will not be repeated so I would highly recommend that you go back and start your reading with “Part 1”. Today is a follow up to some concepts that I have talked a little about before. However, today we will get into the aspect of weeds in a much more in depth study from the Word of God which will certainly challenge you to think. I will probably introduce you to several brand new concepts found in the Bible on this subject so be prepared to learn. 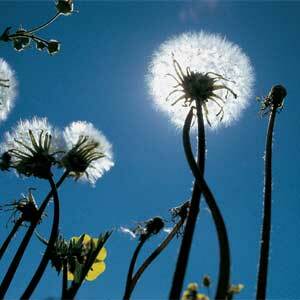 Let’s start by stating the basic concepts of weeds. Weeds are plants that you did not plant! This is the basic concept that is critical to understand. If you wanted thorns and thistles growing in the front yard you would have planted them. But, if you are like me you put out weed killer to eliminate these types of plants so that your grass will grow and be healthier. Weeds grow in the same soil as plants from good seeds and in fact weeds also come from seeds, but just not the seeds that we plant intentionally. I personally believe that weeds are a result of the sin of man and God’s curse and we will probably talk about this more as we go. I would venture to say that weeds are a caused effect. Nothing happens by accident in the world. There are always causes and effects to everything. These are basic laws of physics implemented by God’s design. If you see waves in a pond of water you know that something caused the waves. So you must realize that God when He created our world and looked out on it and said “It was very good”, that God did not create weeds. I do not consider weeds to be good, but maybe you do. It is a highly subjective topic. Regardless, if weeds are present we know that something caused them to be here. So let’s review some things that we covered before and then go into more details in other parts of the Bible. If you recall we covered several parables on seeds and one that Jesus taught that said the Kingdom of God is like a man who planted wheat seeds in his field. This parable is often called the parable of the Wheat and Tares. In this parable, while the man was sleeping an enemy came and sowed the seeds of tares among the seeds of wheat. It is interesting to note that by only looking at the ground at this point in time you cannot tell this was done. The implication was given to us that this was done secretly when the owner was away from the field and the owner only finds out about these weeds after time goes by and both kinds of seeds come up and grow together. In this parable the owner of the field is clearly God. The field can be viewed as the mass of humanity which is a type of the soil of the earth that we live in where seeds are planted. The good seed is again the Word of God. The weed seed was sown by God’s enemy Satan and these are the words not from God. The good seed produces the desired crop of righteous people on the earth; these are those who have chosen the narrow path and the weeds are those people who have been deceived and chosen the evil wide path to destruction. In this parable the servants (symbolic angels), go and ask the owner if they should pull up the tares, but the owner says let them grow together, or when you pull up the tares you also take out some of the wheat. So the harvest is representative of the end of the age that we are currently living within and the time for this harvest is extremely short. The harvesters are the angels of God who will gather God’s crop into God’s barn in heaven and then cast the weeds into the fire to be burned. You can read this parable in Matthew 13:24-30 if you would like to, but I covered the greatest parts of it in enough detail that you should understand these concepts pretty well. What we learn from this parable is a fact that God did not plant the weeds. God did not cause the weeds to be planted and in fact this parable states that God had nothing to do with the weeds. That is one of the key pieces of information from this parable to understand, so get a hold of that. The first thing that you need to understand from this verse is that thorns are weeds; something that was not planted by the original farmer. So we can see that Jesus calls seed among the thorns to be those people who care more about things in this world than they do the eternal things that God says in His Word. Part of the root of this problem is given to us as being the deceitfulness of wealth and money. Often when people get a hold of money on the earth, they think they are in need of nothing including a savior. You can read about this parable of the sower in Matthew 13: 3-9. So we have two different parables with seeds and weeds using two different perspectives. However, they have more in common than you can imagine. They are actually the same people from two points of view. Those who are the tares in the first parable are those who have let the weed seeds of Satan dominate them. In fact the first three types of soil are all tares in the first parable that we looked at. These are those who have rejected the truth, refused to hear the truth, let others in the world talk them out of the truth or as we have seen love things in the world more than they love the truth. Both of these parables resulted in the same two separate groups of people, those who are weeds and are burned and those who produce fruit unto God and are harvested into heaven by the angels. So let’s examine this subject in other areas of the Bible and see what else God says to us about weeds and seeds. Where is the first mention or implied reference to weeds in the Bible? I will give you a clue and tell you that it can be found in the Garden of Eden. Gen 2:15 And the LORD God took the man, and put him into the garden of Eden to dress it and to keep it. Here we have the description of God’s creation. God planted a garden and caused to grow every tree that was good for food the Bible says. This subject so far sounds very similar to the two parables that we just read about where Jesus told us of God’s attempts at planting seeds into His gardens from two different perspectives. Both of these parables involved planting good seeds that came from God to produce good crops and an enemy comes into the garden to cause weeds to try to overcome God’s garden. Isn’t this what happened in Genesis 2 and 3? I believe that it is exactly what happened in these two chapters and we will begin to see that more clearly as we go. In Genesis 2:15 God describes the man’s purpose for being in His garden was to “dress” it and to “keep” it. Both words denote delagated human resposibility and accountablity. The first word is a word that means “WORK”! To work a garden implies one thing, that there are potential enemies and weeds that may come in and therefore you must do something about them to keep them out. Work involves two aspects in gardening, first caring for the plants that are good by feeding and watering them and eliminating the enemies and the plants that are bad to protect the good. The next Hebrew word translated as “keep” is very similar to work and it means to “watch” and “protect” the garden. A watcher or protector is someone who is given the task and responsibility to not only work the garden, but is required to protect it from any enemies who could potentially come and destroy it. Wow, two words of instructions was all that is necessary from God and they say so much to us in light of the parables that we have just seen about seeds and weeds. What we begin to understand now was that it was not God’s responsibility to keep the enemy out because that was given to Adam for him to do. Here is a key verse that reveals to us God’s actions for the intentional sin of His man Adam. You can clearly see that God says Adam listened to Eve’s voice and not to Satan’s voice. There is no mention that Adam ever heard Satan speaking directly. Do you understand this? Probably not, because of the erroneous teaching of many tells us that there was a physical talking snake in the garden and if Adam was there he would have heard it all. However, that is not what the Bible says at all. You should go read my lesson on “Was there a Talking Snake In the Garden?”. Then you can see that God says something else about the ground being cursed for Adam’s sake. God then says that Adam will eat from it all the days of his life in sorrow. What was “IT” that Adam is said to be eating from. You can potentially say the ground that God just cursed, but I do not see it this way in the light of other verses found in the Bible. I believe God was saying because you Adam chose to eat from the tree of the knowledge of good and evil, you will eat from it all the days of your life. Isn’t this what Adam was just found guilty of partaking from? So what was the ground in the two parables that we looked at? The Garden soil was clearly the hearts of men and women. So what does all of this mean? If you search your Bible and read the references for this Hebrew word that is translated as “cursed” they almost always have something to do with someone who disobeys the Word of the Lord. God says something for them not to do and they do it and a curse is brought upon them as a consequence for their sins. However, curses are just the opposite of blessings. So how does God or people for that matter bless someone or curse someone? If you have read my other lessons you know that you bless people with the words of your mouth and you also curse people with the words of your mouth. James 3:10 said “blessing and cursing from the same mouth, this ought not to be”. So curses are spoken words that produce negative results in our lives or in the lives of those the words are spoken to. I think I will continue to the next verse in Genesis just to show you the connection to weeds again in this story. Thorns and thistles are clearly both weeds produced from evil seeds. They are not produced by the Word of God so we can assume that these are produced from the seeds that Satan has just sown in God’s Garden of man’s heart. In the parable of the sower God repeated “thorns” for us to make the connection to this story in Genesis. What were thorns in this parable? God said thorns represented “the cares of this world” and the “deceitfulness of riches”. Do you think these apply to Adam in this story? I certainly do. I believe that God had just given the man and his wife the earth and Adam now believed that he was self-sufficient and did not need God’s help anymore . Adam at this time thought he had everything under control, but soon he would find out that he did not have anything under control when his Son Cain would kill his first born son Able. This was the beginning of Adam’s realization that what he had done was not so great after all. The sin that Adam introduced into the world was only beginning and the evil seed influence was only going to get worse before it got any better. So God tells Adam that “IT” will produce thorns and thistles. So let’s back up and determine what “IT” is? If you recall the Bible says that Eve spoke words to her husband and God said that Adam “hearkened to the voice of his wife”. To hearken means to obey or do what she said to do. If Adam did something that he should not have done because his wife said for him to do it, what was this thing that God is talking about? Let’s back up and see what the Bible says Eve said. Pro 4:20 My son, attend to my words; incline thine ear unto my sayings. Pro 4:21 Let them not depart from thine eyes; keep them in the midst of thine heart. Remember that the Word of God is the Good Seed of God. So what does God tell us to do with this seed? God starts by saying “attend” and this is a critically related word that can mean to “hearken”. Sound familiar? This is an intentional act of listening, hearing, understanding and doing. God then follows this up with “incline” your ears unto my seeds (words). Then God says for us to keep them before our eyes and then to keep them in the “midst” of our hearts. The word “midst” is the exact same Hebrew word used to describe the location of the tree of life and the tree of knowledge of good and evil in Genesis 2 and 3. Do you get a hold of what God is trying to say here? It is the heart of man that is the location of God’s garden. It is the heart of man where God wants His seeds to grow. It is also the heart of man where weeds grow from the enemy of God, Satan. You can read about the heart of man being the middle of man in Psalm 22:14, 40:8, 40:10, and 143:4. Some of these are difficult to see because the same Hebrew word is translated as “within”. But, you should be able to find it if you look for it and see that within you is the spiritual heart location of God’s garden. Knowing this fact you can now begin to see that where spiritual fruit comes from as well as where spiritual weeds are also grown. These are spiritual concepts of seeds and weeds and are completely relevant to our discussion today. Jesus says you will know people by their fruit. In other words when people come to you in sheep’s clothing and speak subtle words to you, stop and observe them for a time period to see what kind of fruit they are producing in their life. In this verse Jesus connects or technically disconnects real fruit from weeds. Jesus says that you do not get grapes from thorn bushes and you do not get figs from thistles. Why did God use the exact same words in speaking to Adam that ‘it” would produce for him? God clearly tells Adam that thorns and thistles would result from something that he has done and now we are clearly given the location of these weeds and as we can see from what Jesus said these are spiritual weeds and they are the opposite of bearing spiritual fruit. Are you beginning to see and understand the connection that God is making to us in the Bible? Do you understand spiritual weeds better today than you did before you read this? I pray that you take this and continue to study the subject and go and find more verses that reveal and confirm this spiritual reality. I hope you enjoyed my advanced Bible lesson on Seeds and Weeds and please go and tell a friend what you learned. God Bless! If you would like to continue reading this series of lessons on Seeds you can go to “Part 12“. Posted on October 31, 2010, in Bible Study, Seeds, Understanding and tagged Bible, Christianity, Church, creation, Genesis, God, Holy Spirit, Interpretation, Jesus, Religion, Revelation, seeds, Truth, understanding, Words. Bookmark the permalink. 2 Comments. I wonder how many people understand the symbolism of the garden. God has truly blessed you with the meat of His word. I have grown spiritually in knowledge of his Word through your posts. One thing I have noticed these days is trying to discern wolves in sheep clothing because they do produce good fruits. The problem is people use His word to make their claims which can manipulate people. Understanding seeds is right on the mark and rings true to me. It also goes hand in hand with the natural world of seeds, too. Their is good food and bad food to nourish our God given body. I believe most of our illnesses come from eating food from bad seed or greedy intentions. Organic food is God given food the way it is suppose to be, eat that and it will protect your temple that houses your spirit. God bless.